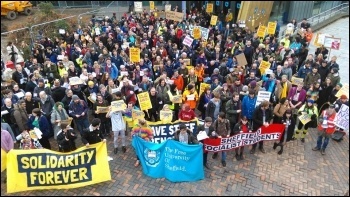 On 13 April, University and College Union (UCU) members in the USS pension scheme voted to accept the latest proposal from Universities UK (UUK). 64% voted for and 36% against ending the dispute - or this round of the dispute, anyway. There can be no doubt that university workers have won a significant victory here. On 23 January this year, UUK announced plans to completely scrap defined benefit pensions and introduce 100% defined contribution. That represented a monumental attack, which would have left the average member of staff £10,000 a year worse off in retirement. Fast forward to April, and after 14 days of magnificent and determined industrial action, UUK has been forced to state that 100% defined contribution pensions are off the table, to offer a joint working group composed of both employer and union representatives to analyse the pension fund and agree a way forward which provides a 'comparable' pension benefit, and to maintain the current pension provisions for at least another year. These concessions from the employers came about purely from the power of our strike, and that is perhaps the most important lesson for UCU members, and for workers everywhere. 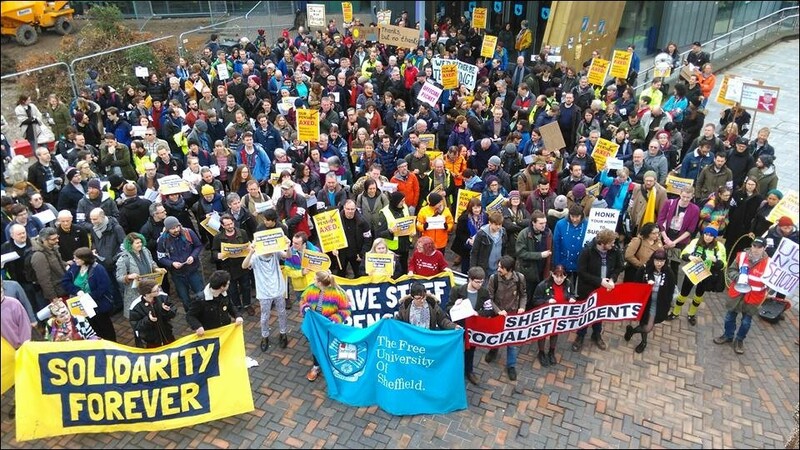 UCU is not known for industrial militancy, and undoubtedly the employers thought they would be able to get away with this attack without provoking anything more than a one or two-day 'protest' strike, rather than a full blown industrial battle. But UCU members have waged a fantastic struggle, beating the anti-union laws, forcing major concessions from the employers and building our union in the process - nearly 10,000 new members are thought to have joined nationally! We have set an example for other unions to follow - and we've also shown that this weak and divided Tory government is incapable of attacking workers in struggle the way they once would have! Workers across Britain should take heart from our struggle, organise to drive the bosses back, and kick out the hated Tory government.